Bells of Beechworth is a brand new cottage, nestled in a garden setting with two deck areas making it ideal for outdoor entertaining. The light filled open plan living area and is made even more spacious by the use of french doors that lead out to a deck area. An imitation electric fire place gives a cosy atmosphere in winter. The kitchen is located off this area and is well appointed. The house comprises two bedrooms, each with a sumptuous queen size bed, electric blanket for winter and a fan for summer. French doors open out to picturesque outside areas. The modern spacious bathroom include a full size bath and separate shower. 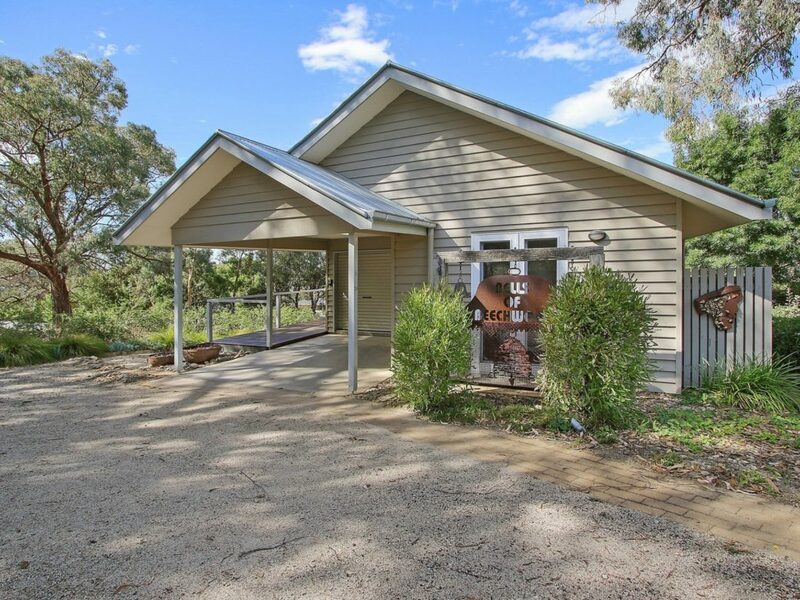 The cottage offers some of the best views of Beechworth township, the Gorge and surrounding hills. A ten minute walk (1.3 kilometres) or one minute drive to the main street will give you access to fine dining, boutique shopping and more. Public holiday rates and minimum nights apply.